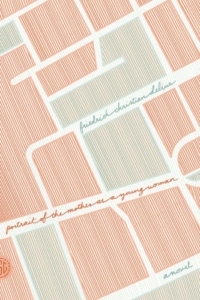 Friedrich Christian Delius’s novella, Portrait of the Mother as a Young Woman, begins with the protagonist, a German woman in Rome in the winter of 1943, recalling her Italian doctor’s advice: “Walk, young lady, walk if you want to walk, the child will like it if you walk.” The woman, it is clear almost immediately, is generally anxious and fearful; she is deeply unsure of herself as a foreigner amid the architectural splendor and ubiquitous catcalls of Rome. And so she follows her doctor’s advice. Portrait of the Mother as a Young Woman, it is important to mention, is a single, 115-page sentence. While reading it, however, this doesn’t feel unusual: it seems as though Delius simply sought and found the perfect form for his material. (It’s a testament to the work of the translator, Jamie Bulloch, that the form remains powerful in the English version.) The succession of commas echoes our protagonist’s steps as she takes us not only through Rome but also through her looping and circuitous inner monologue. Margherita — whose name we only learn because she passes by a bridge with the same name, triggering a memory of her husband remarking upon it — is 21 years old, eight months pregnant with her first child, and pining for her husband, Gert, who is stationed at the German front in Africa. Outwardly Margherita only travels a few miles from a home for the elderly, where she’s staying, to attend a church concert. Inwardly, however, her journey is labyrinthine. Yet Delius crafts a symphony out of her anxieties: as Margherita listens to a Bach aria in church, the concert she’s been walking to for the preceding 100 pages, her emotional pressure builds in the final pages to an orchestral explosion of feeling. Under the influence of the music, “the cello that swept through the depths of her soul,” she is finally unable to stem the flow of feelings. She begins to weep. The effect of the book’s overall structure is stunning. The final paragraphs, an emotional coda to the crescendo before it, bring us the text’s first and last period. The thousands of preceding commas, echoing Margherita’s thousands of steps, have lent this sudden full stop an astonishing impact. A single piece of punctuation has, it seems, never held such power. As Delius builds toward his finale, Portrait of the Mother as a Young Woman becomes not only a portrait of the effects of wartime and political indoctrination on a person’s psyche, but also a tribute to the city of Rome. The city, which literally protects Delius’s protagonist by virtue of its history (“no bombs would fall on Rome, that was certain, it was obvious, the English would not raze the Eternal City and the centre of Christendom to the ground, neither would the Americans”), is in Delius’s hands a mysterious, magical place spilling over with history, splendor, and beauty in excess. In a single sentence, a woman and a city suffering under Fascism both become alive: tragic, pitiable, and transcendent.